Many people don't know what to do when a card appears upside down in a tarot spread. This book helps you become more comfortable and confident when these topsy-turvy cards dance into your readings. Join author Leeza Robertson as she explores five distinct areas of energy related to reversals: blocks, protection, mirror, shadow, and retrograde. 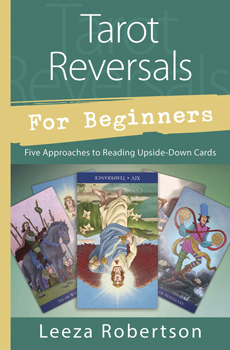 This system of reading reversals is a simple way to deepen your connection to the cards and receive the guidance they have to offer.